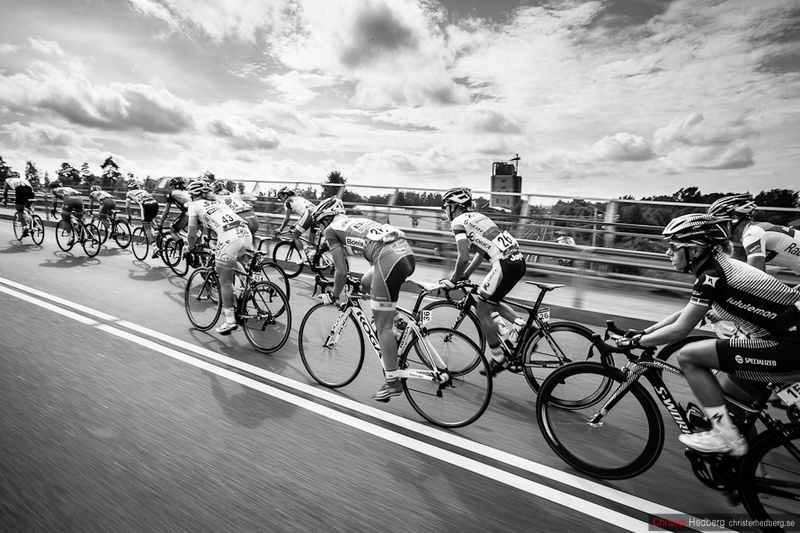 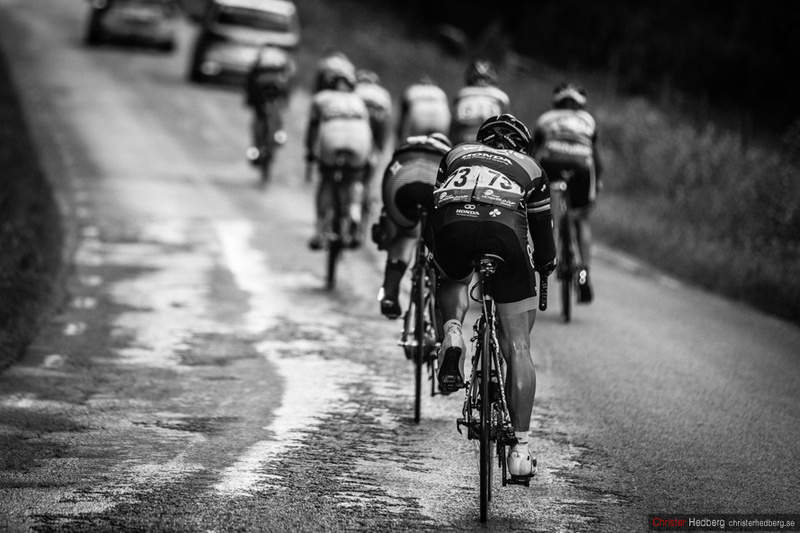 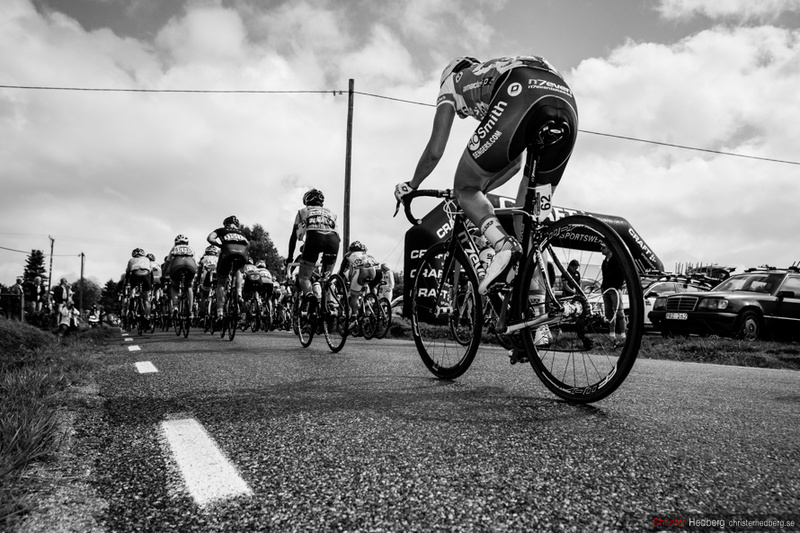 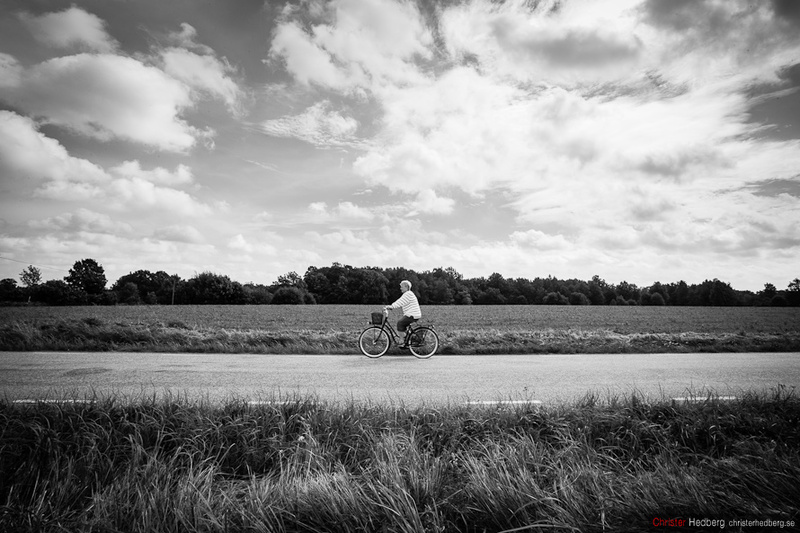 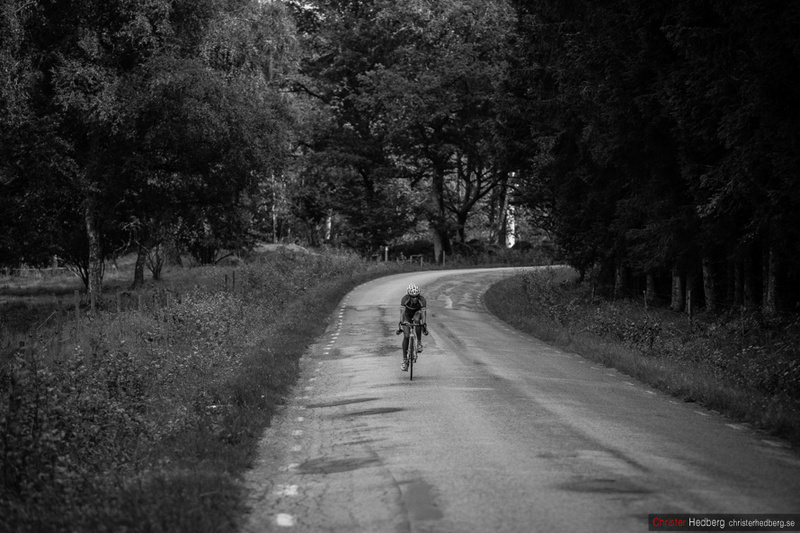 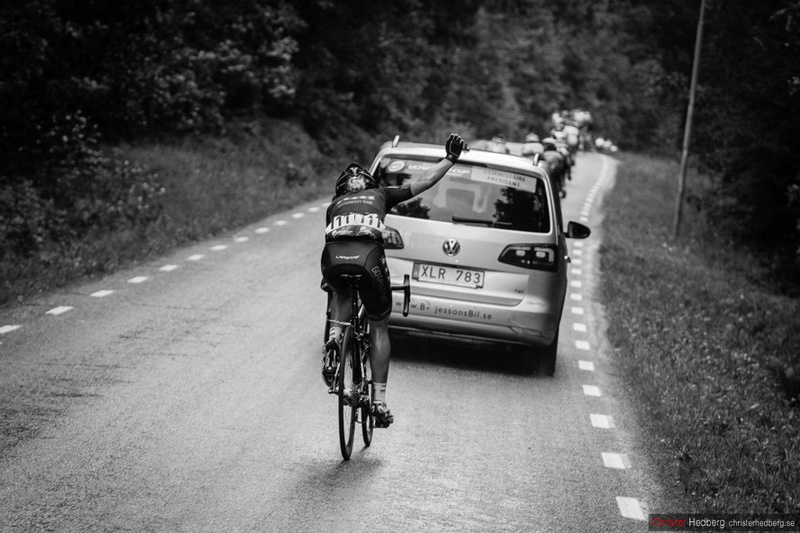 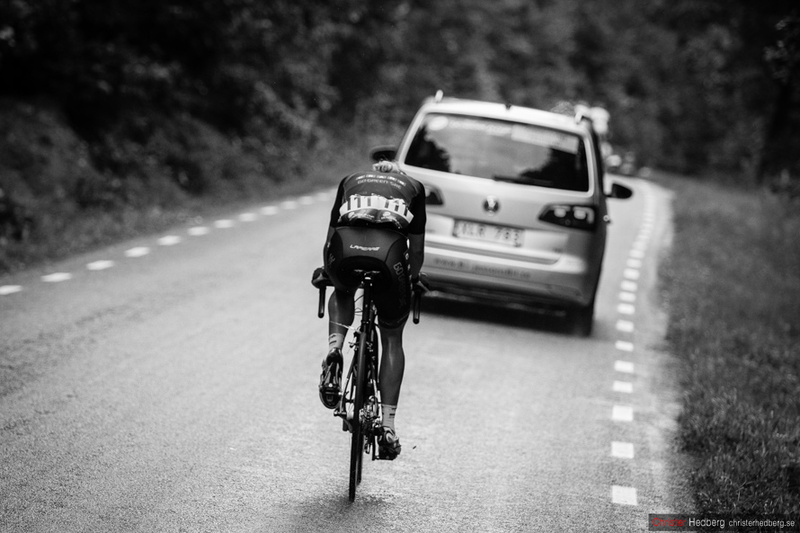 Cycling is a mercyless sport with a thin line between victory and failure. 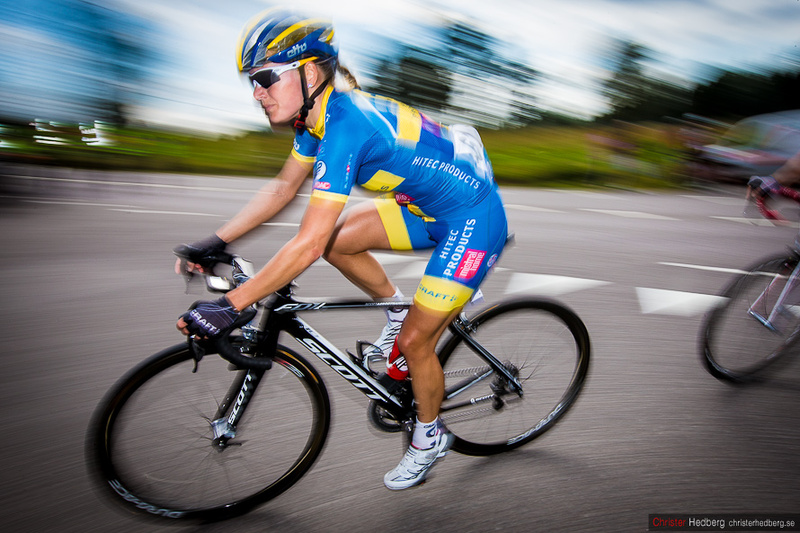 After an incident at the start that damaged her rear wheel, Jessica Kihlbom had one mechanical problem after the other. 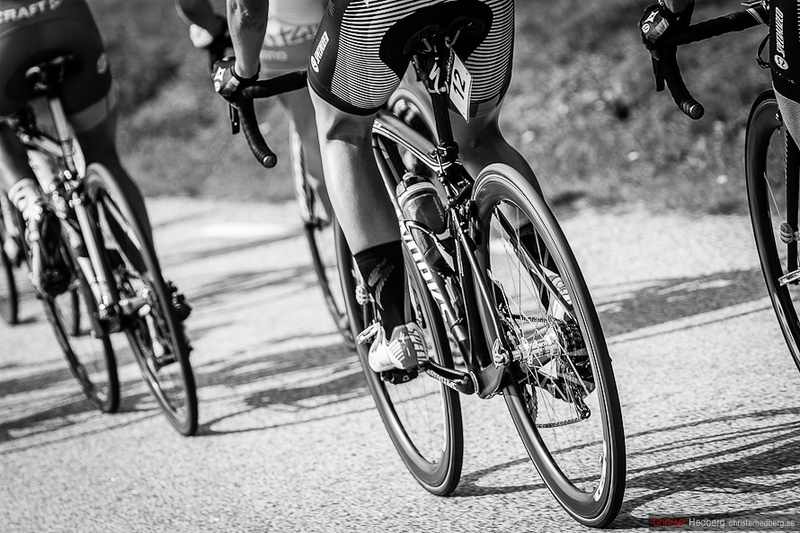 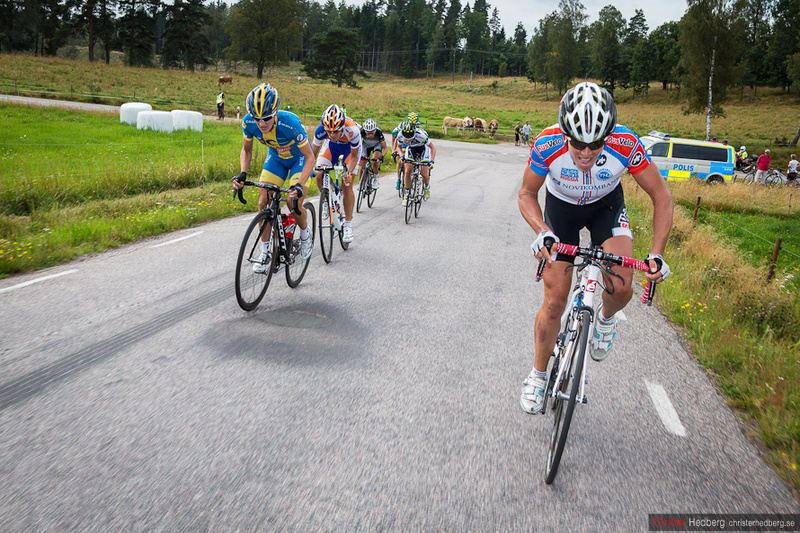 The frame number tag stuck between the wheel and finally a malfunctioning rear brake made her abandon the race. 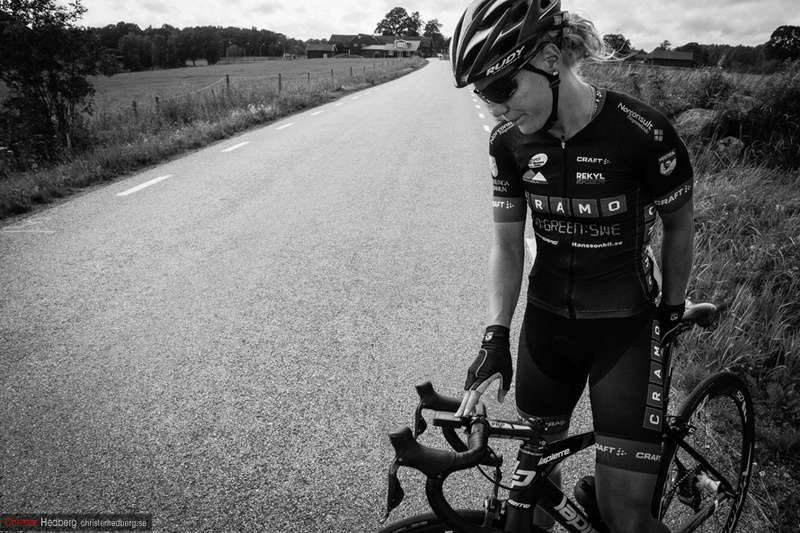 A quick message over the radio to the sports director in the team car and Madelene Olsson of the Cramo Go:Greene team was off. 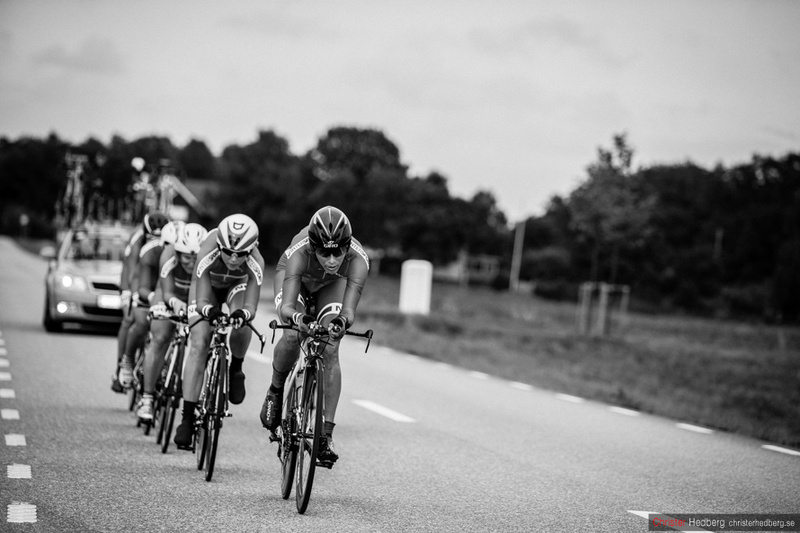 The leading group was within reach up ahead the course but without anyone following her in her the pursuit quickly turned into a tough fight in the windy no man’s land between the two groups. 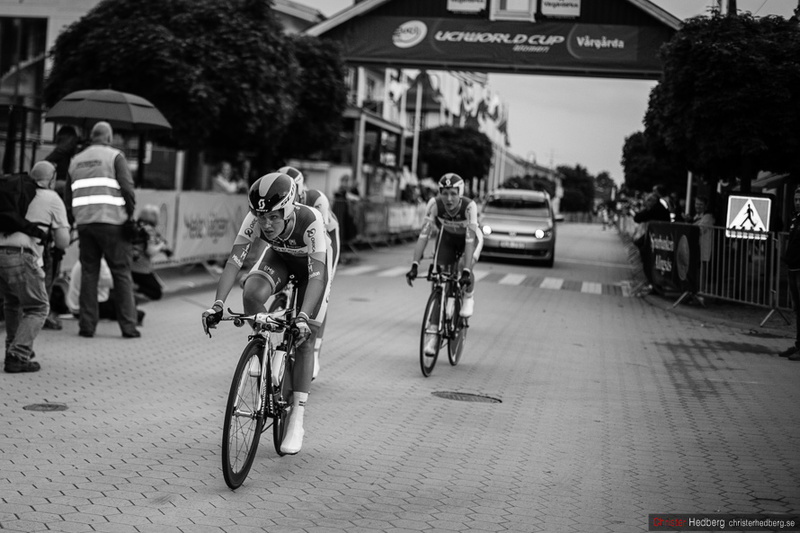 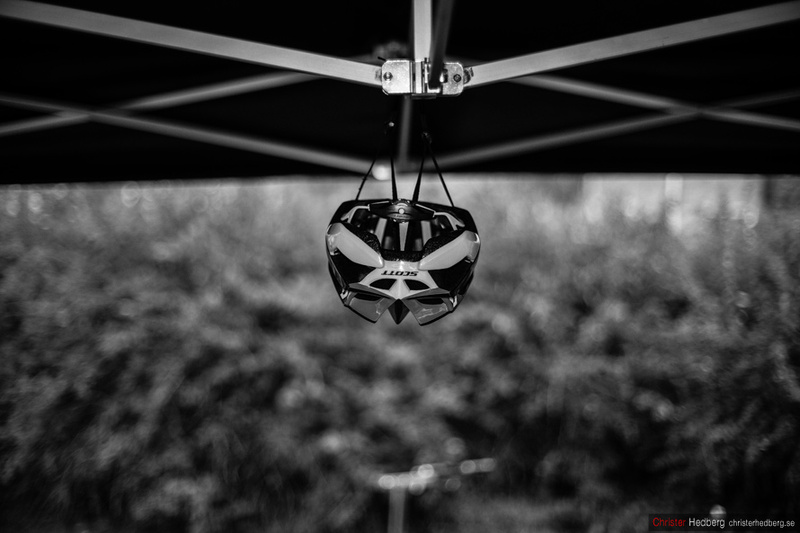 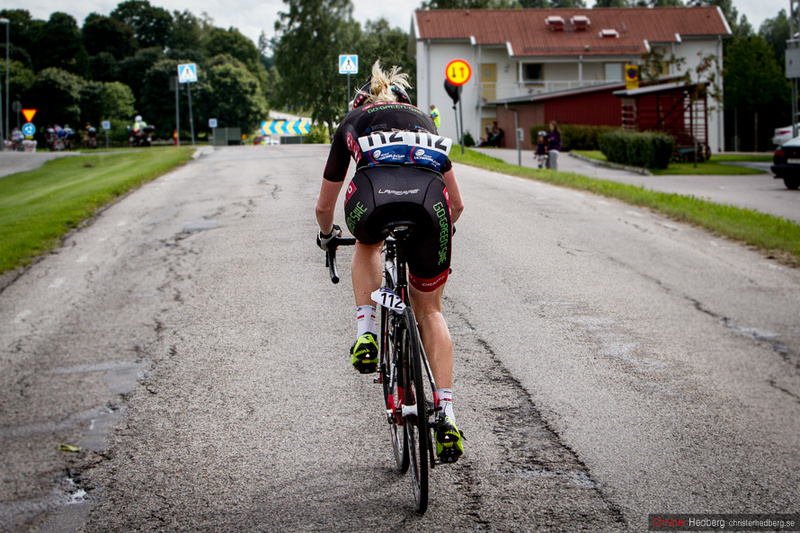 Later in the race, techical problems forced her to change bike and fall back to the groups further down. 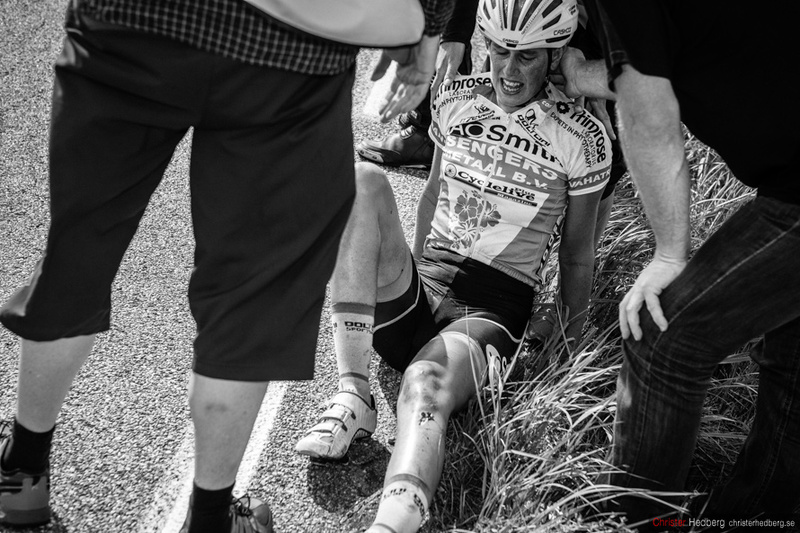 Please link back to this page if you are using (for non-profit only) any of the photos. 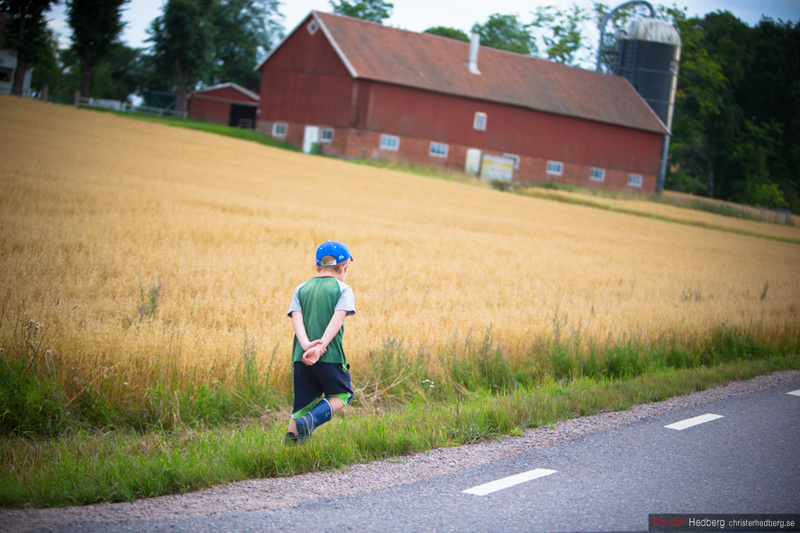 / Vänligen länka tillbaka till denna sida om du använder någon av bilderna. 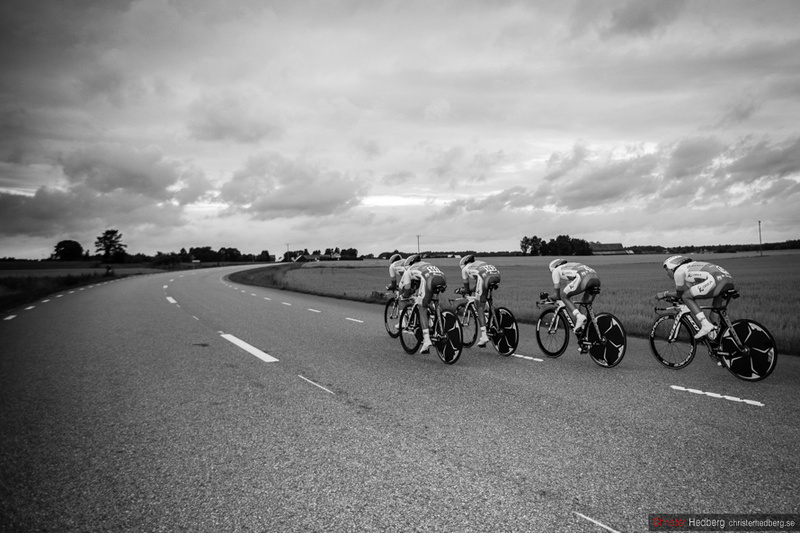 Open de Suède ’12: Speed! 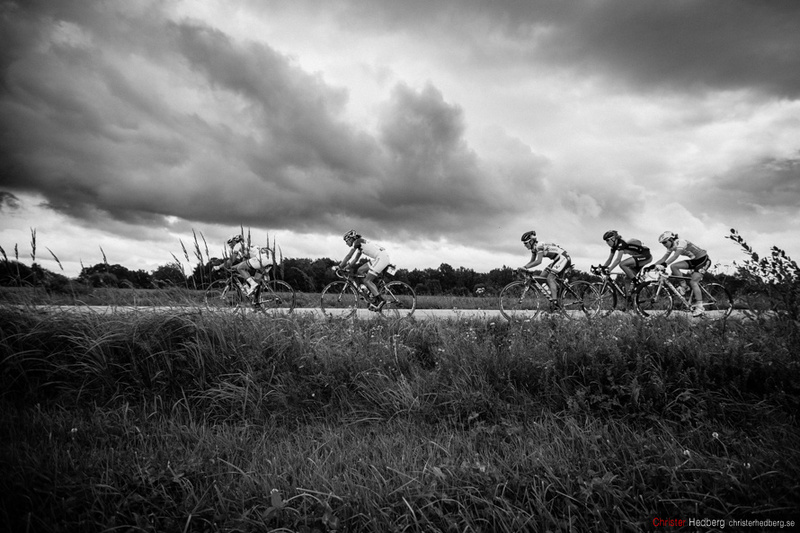 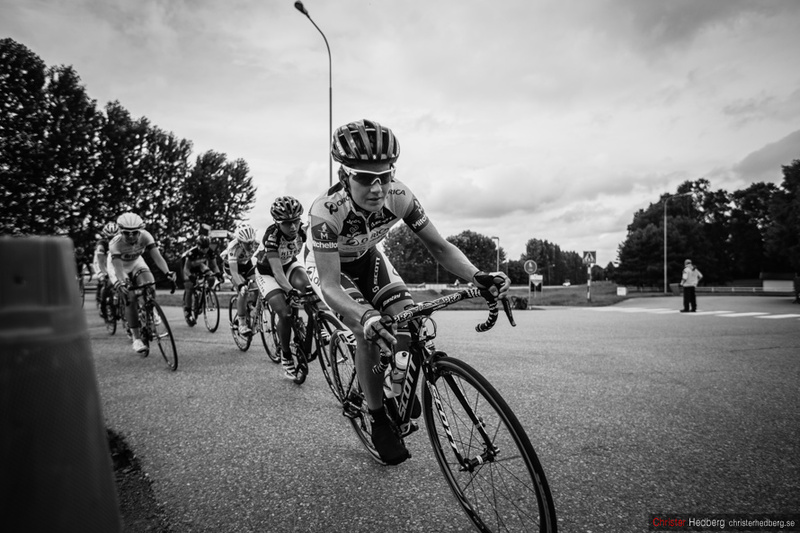 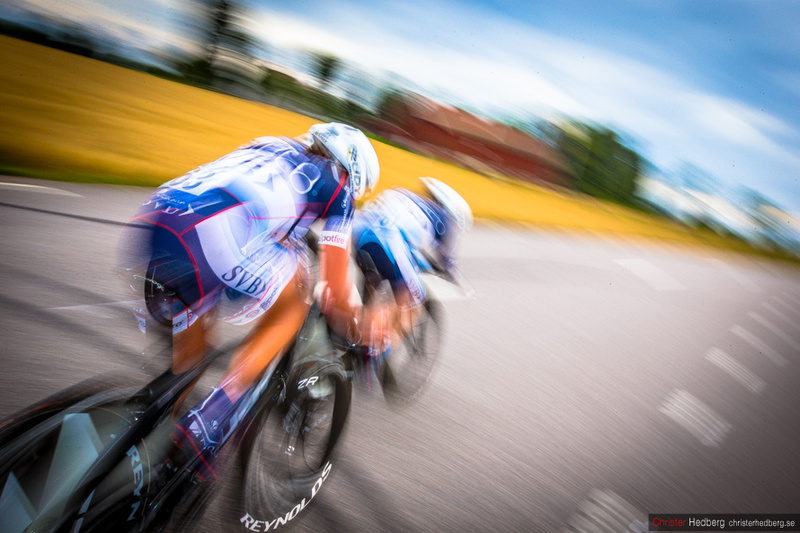 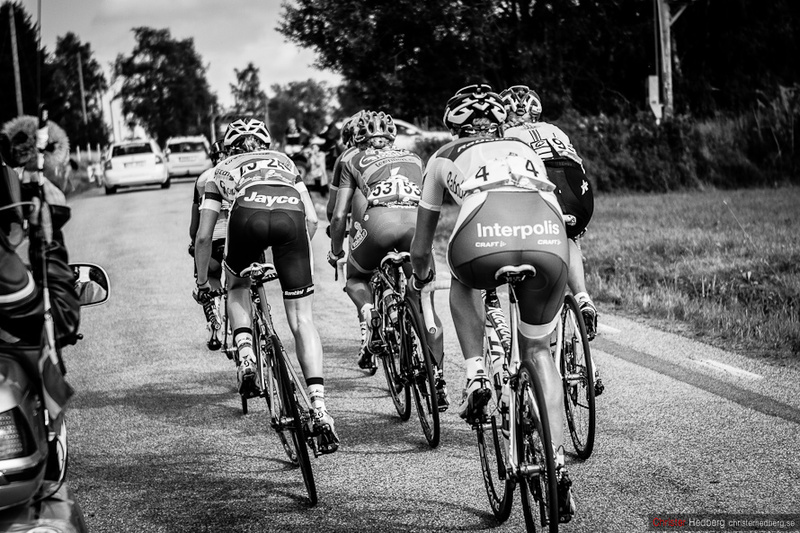 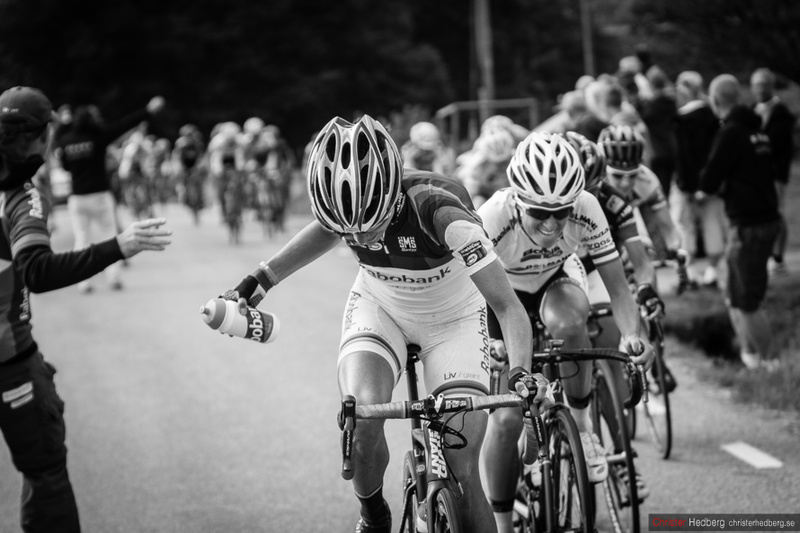 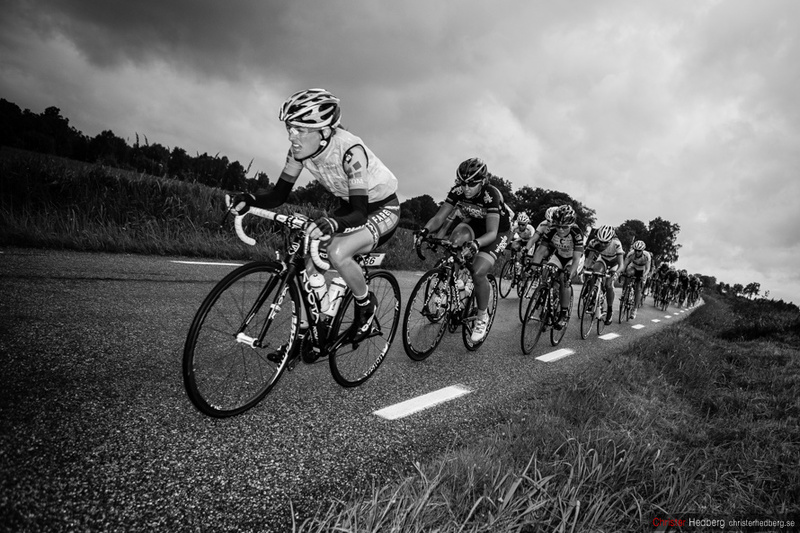 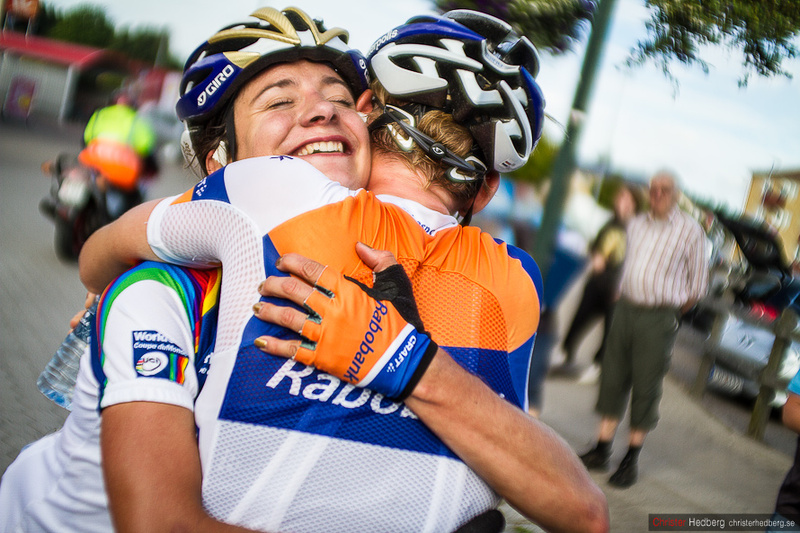 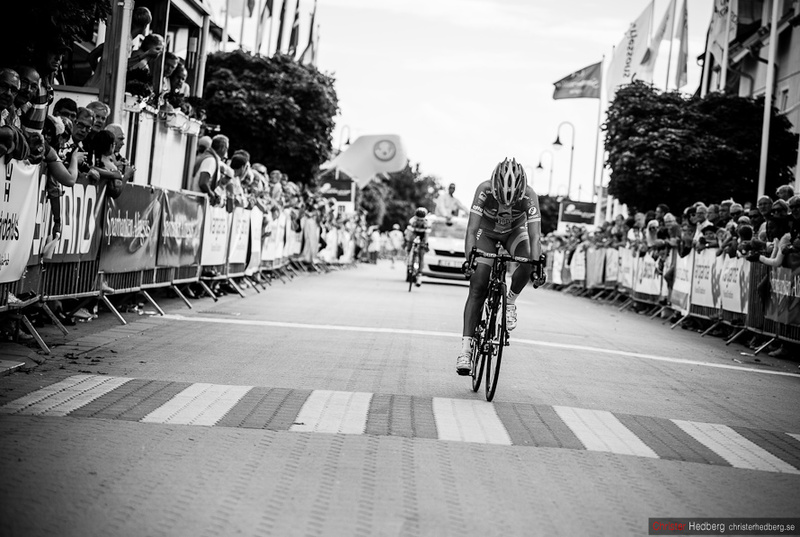 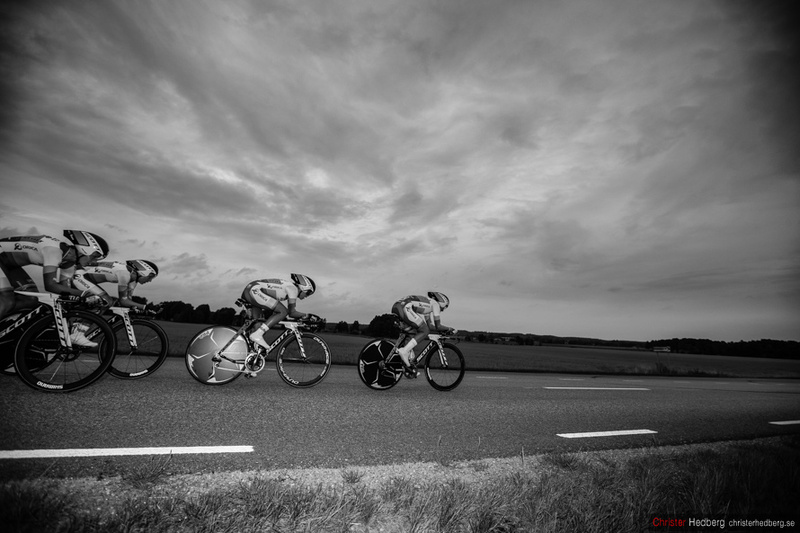 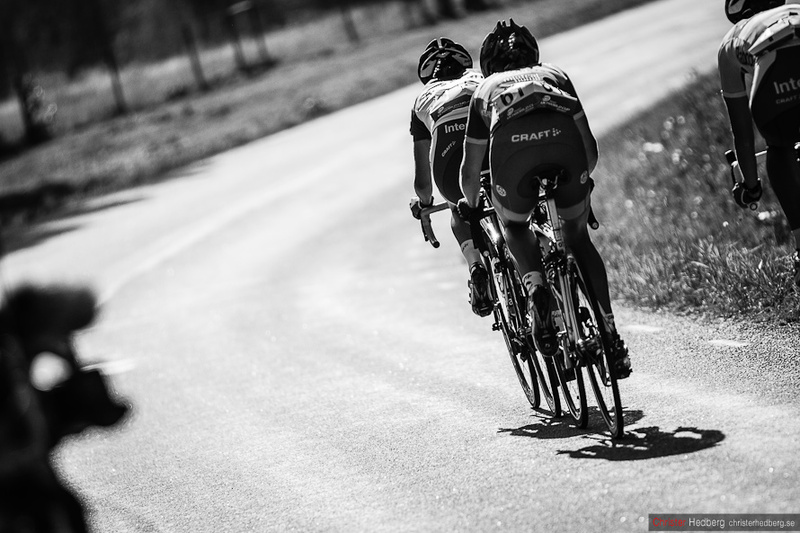 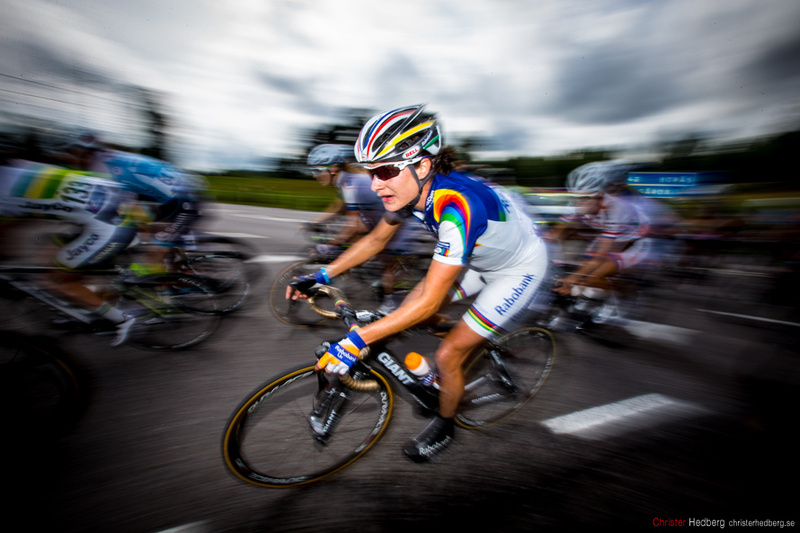 Iris Slappendel and Marianne Vos – the two winners of today. 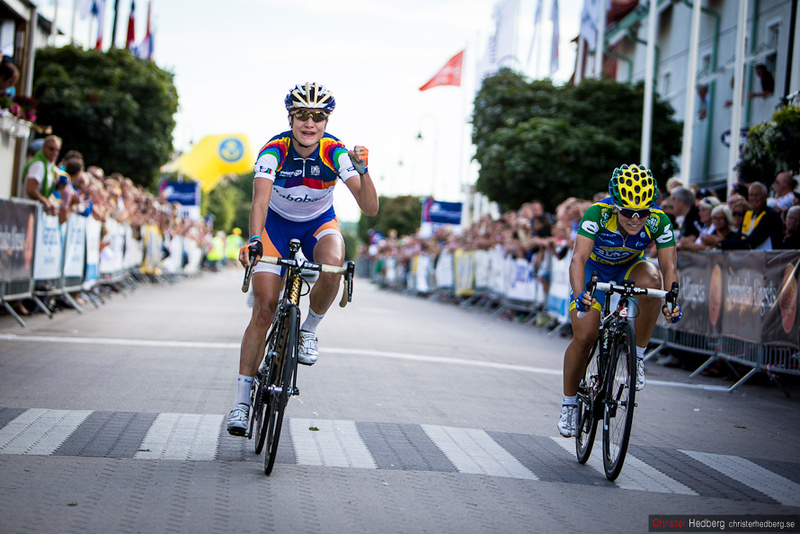 Iris as the winner of Open de Suède 2012 and Marianne as the winner of the World Cup. 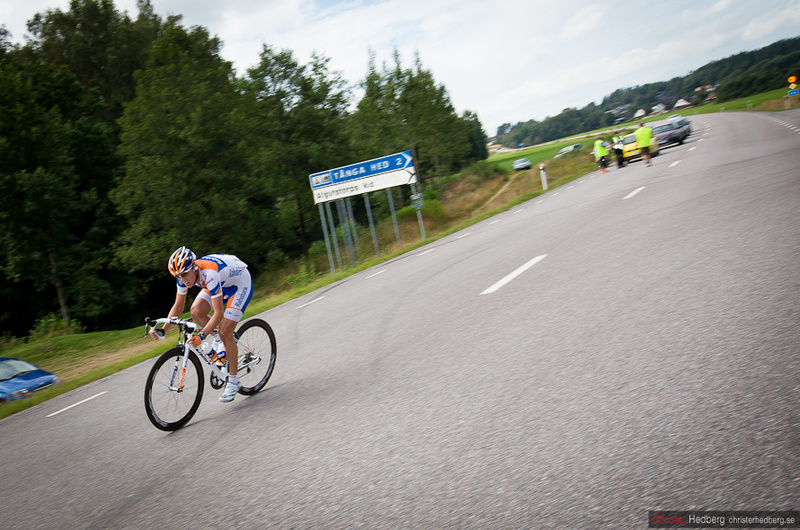 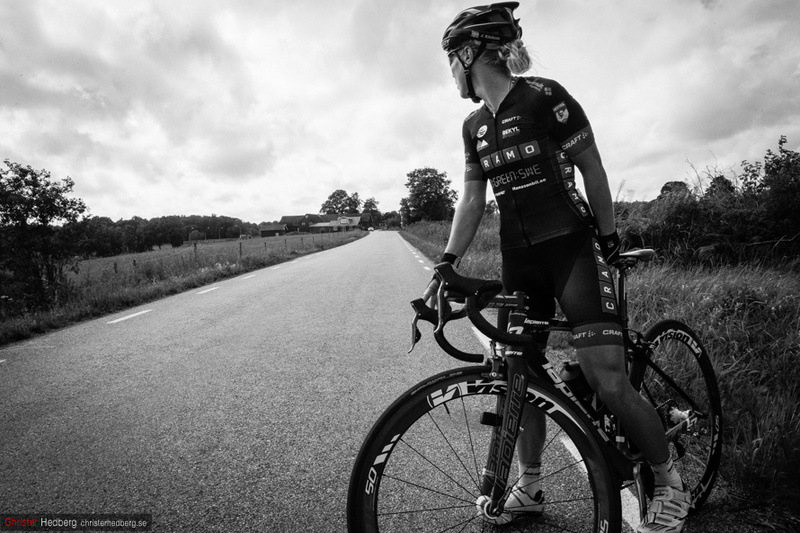 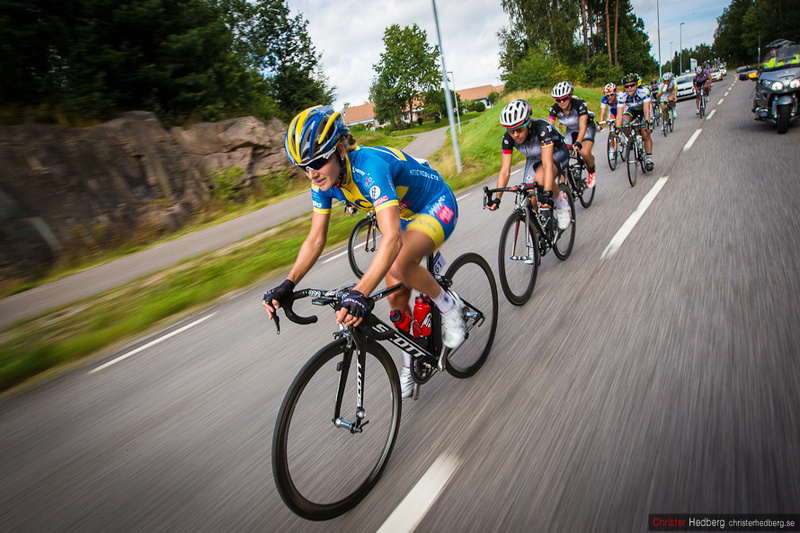 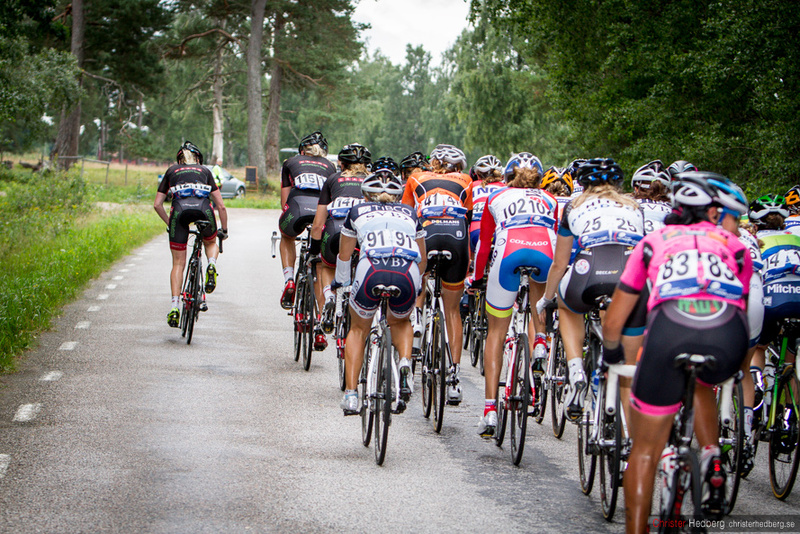 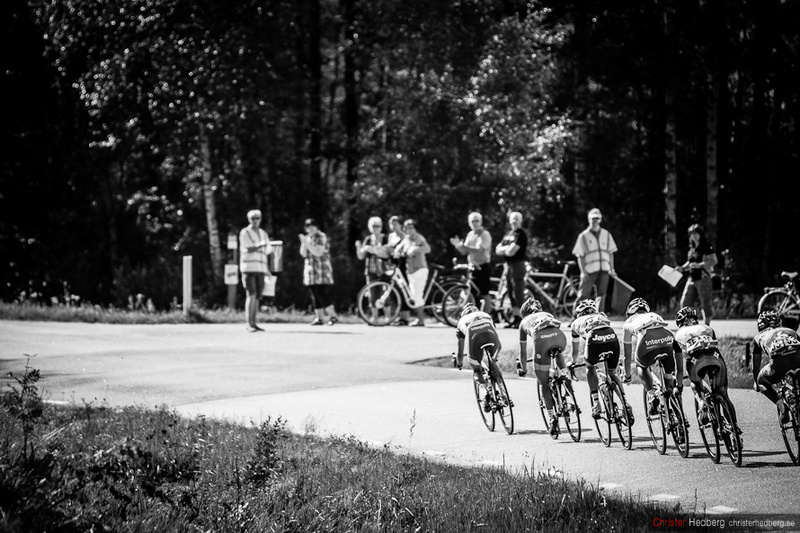 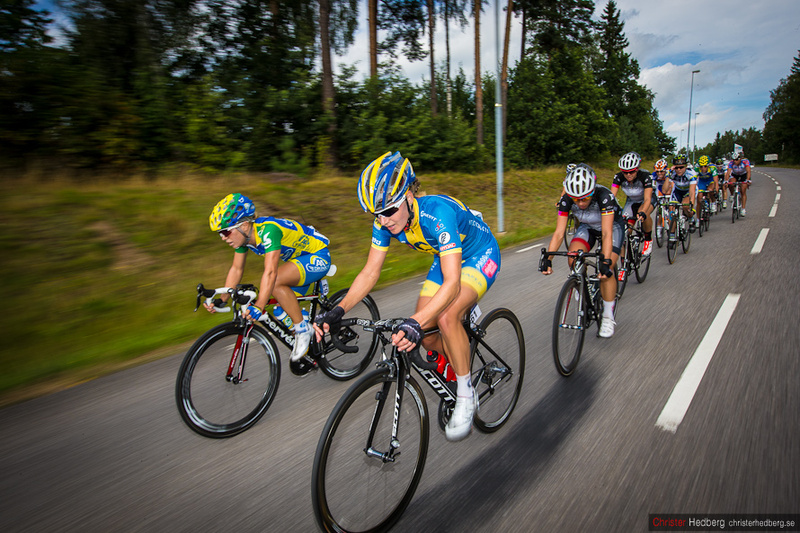 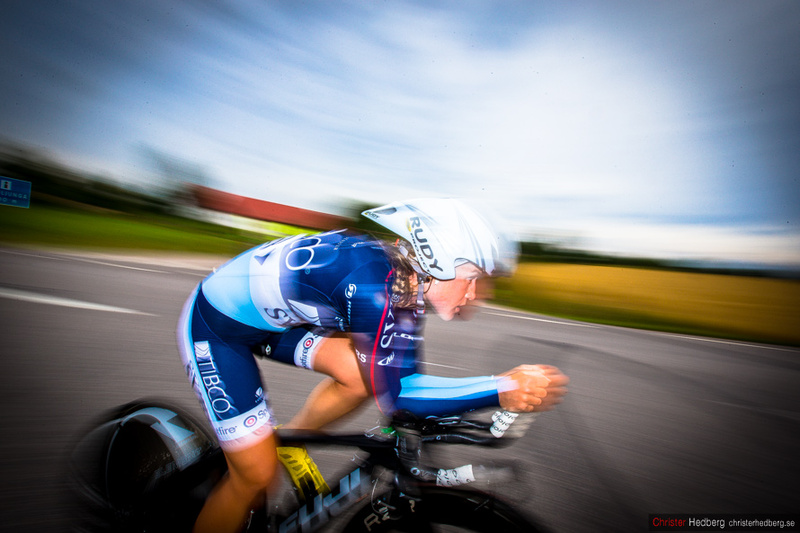 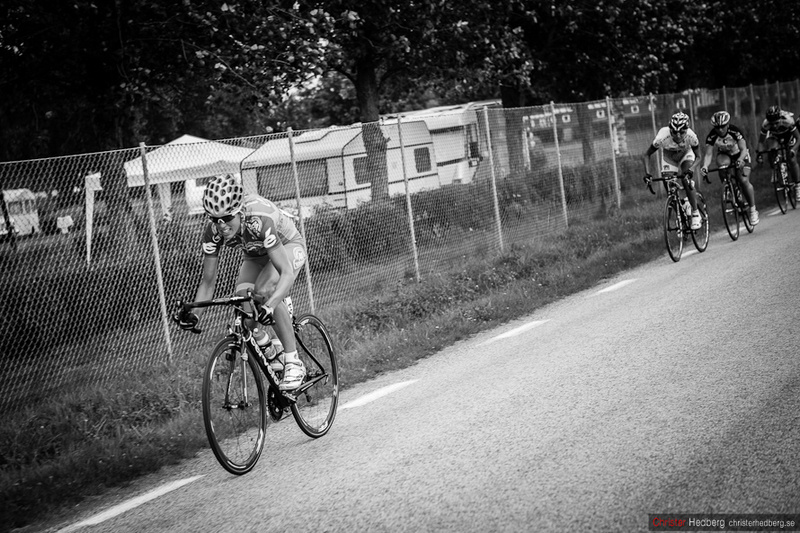 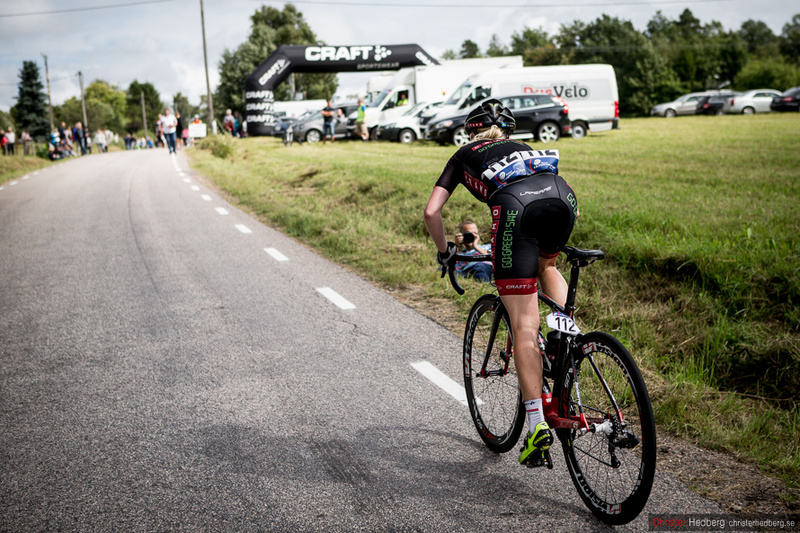 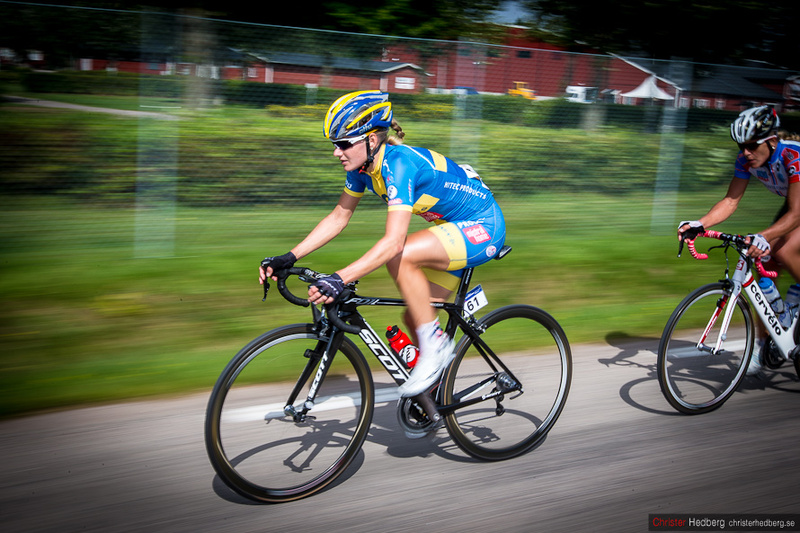 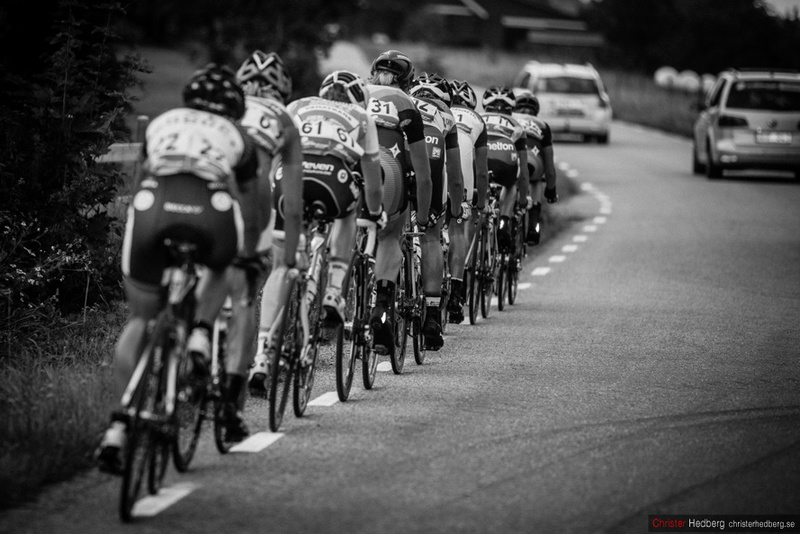 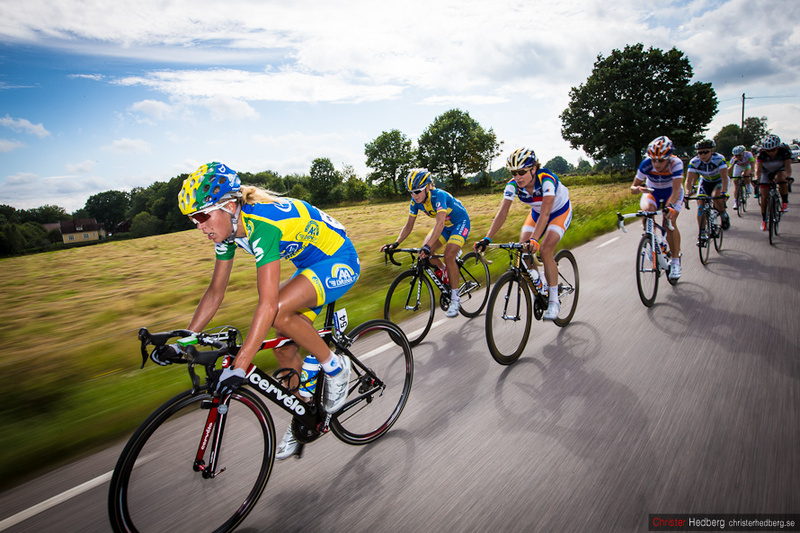 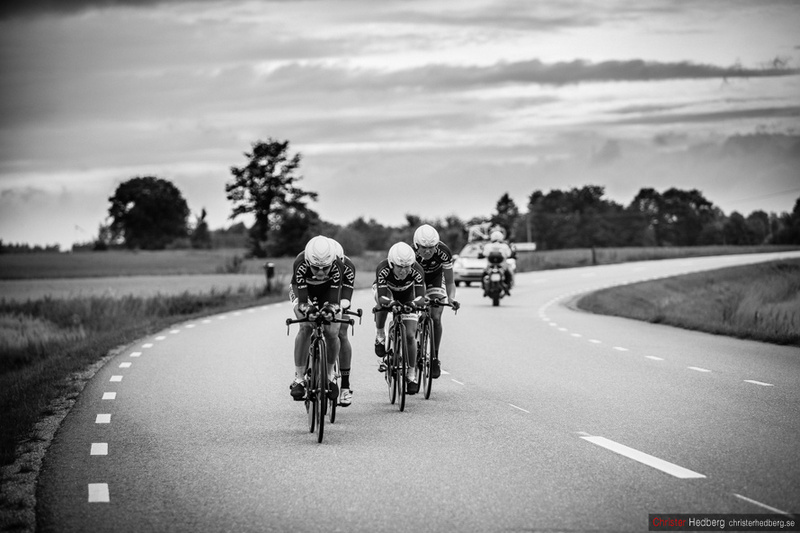 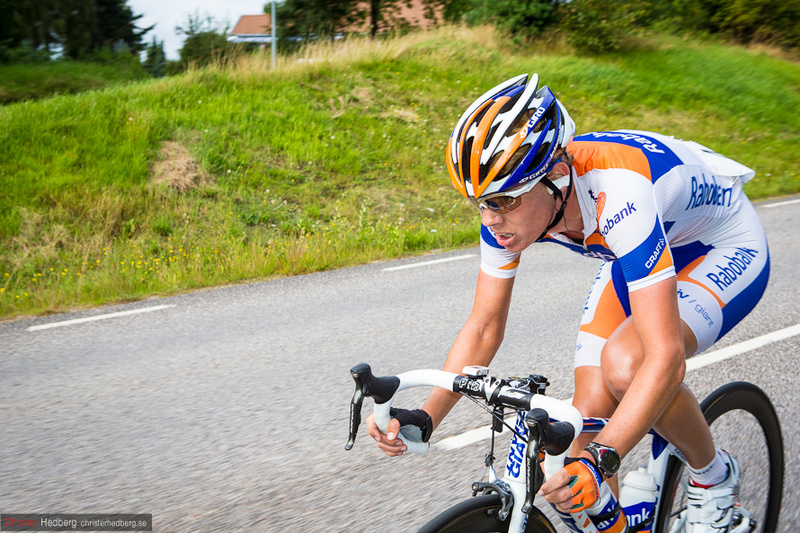 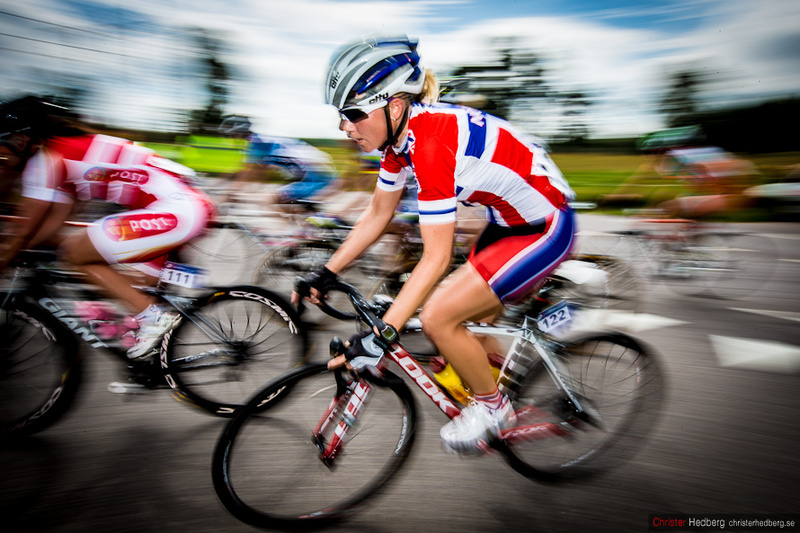 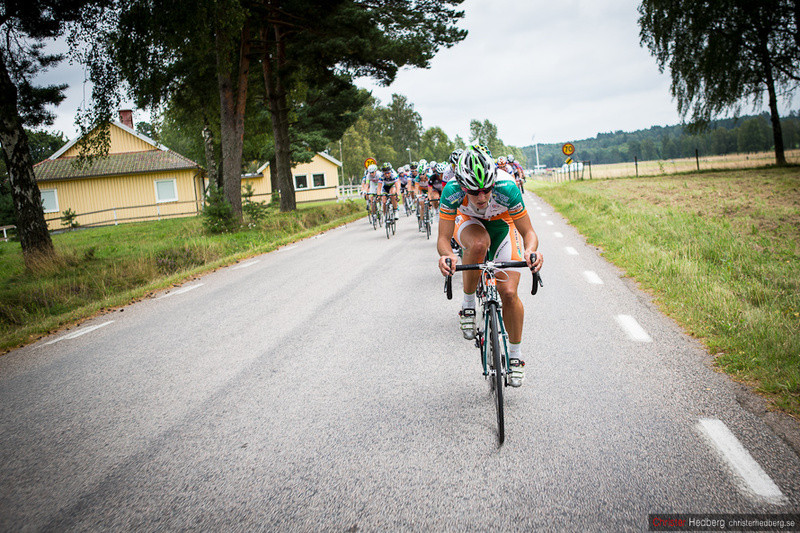 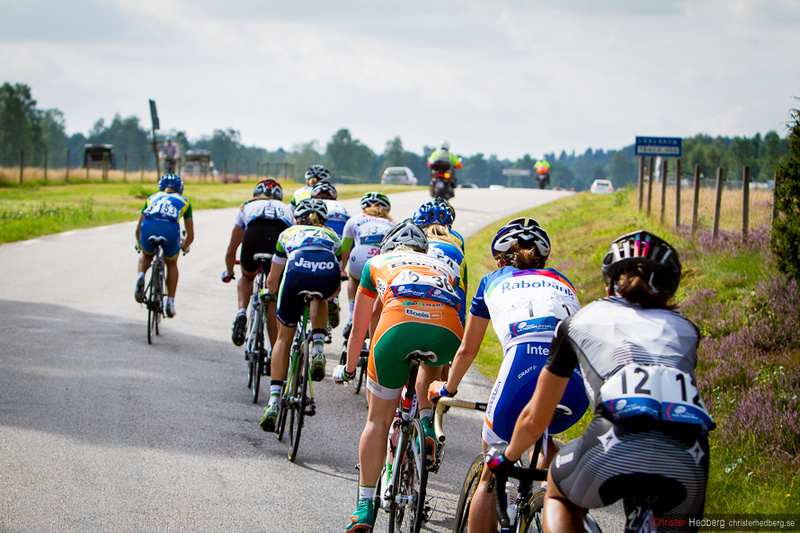 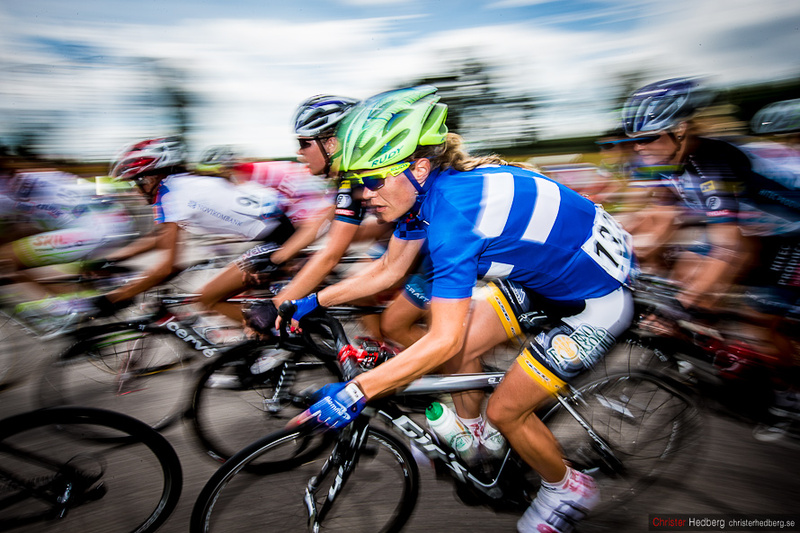 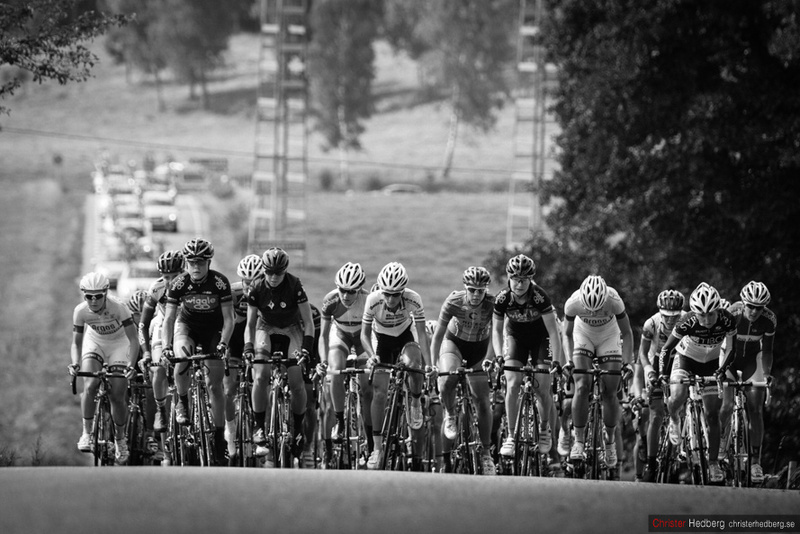 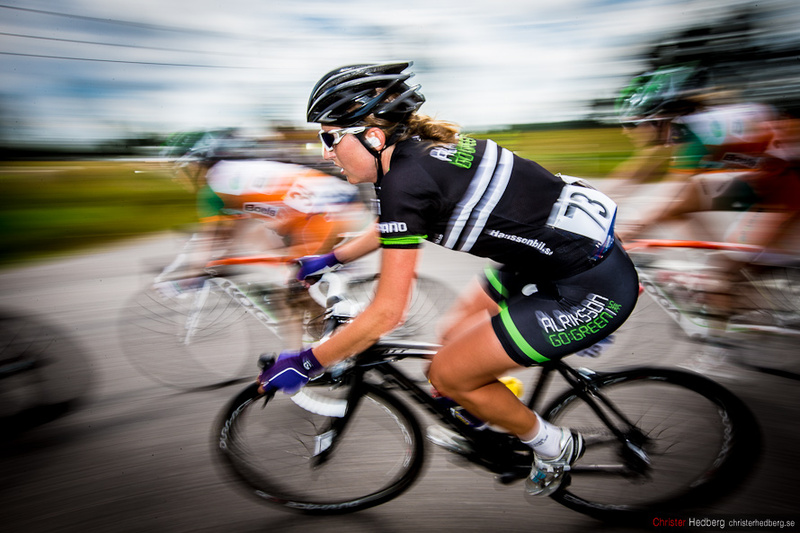 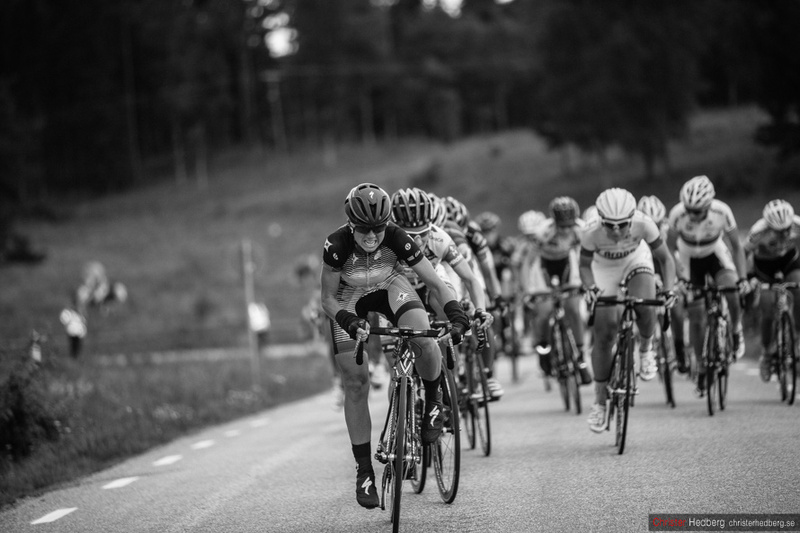 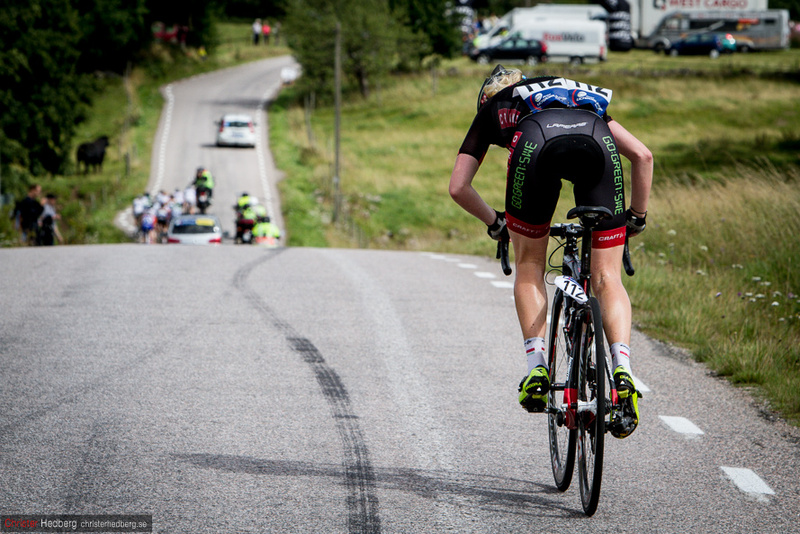 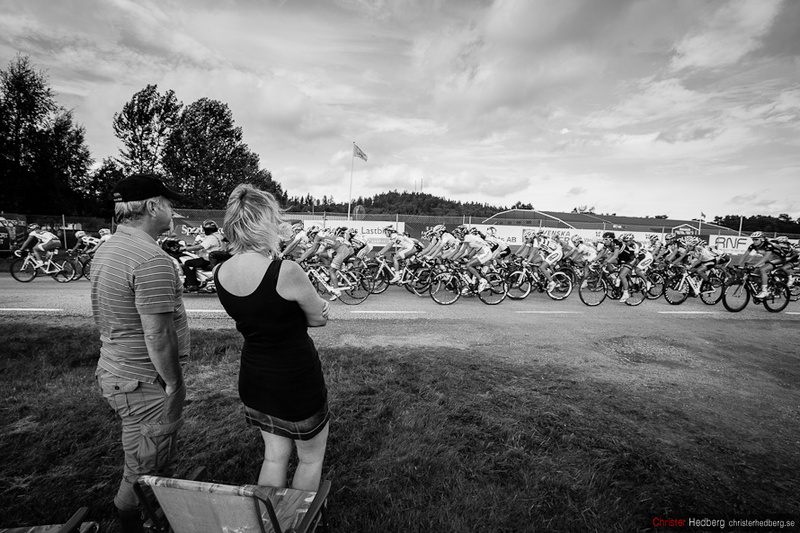 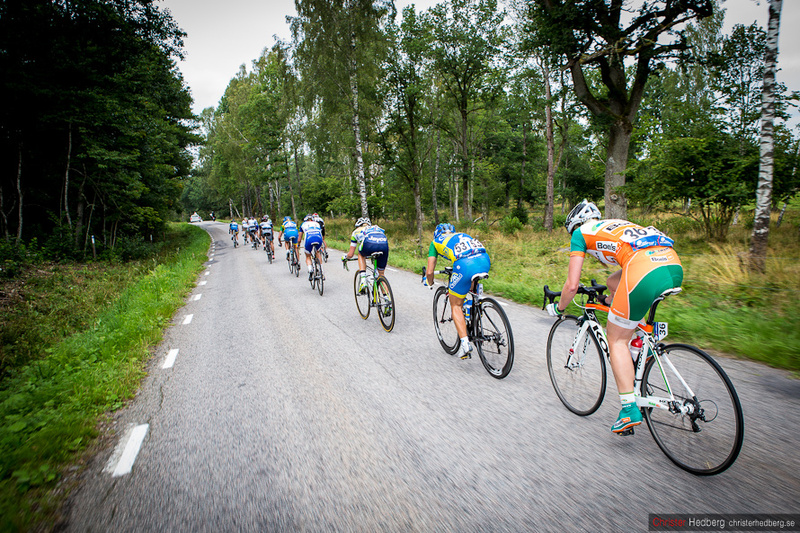 After having done a large portion of the work in the break-away group, Emma Johansson eventually finished sixth. 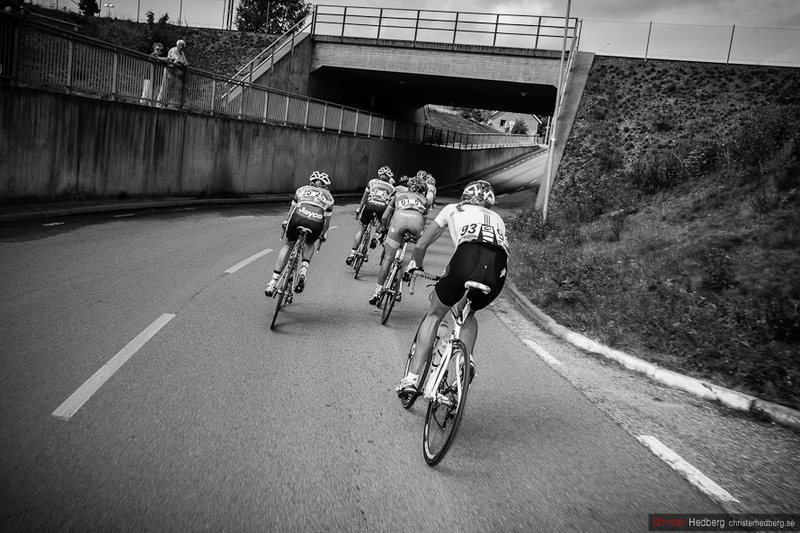 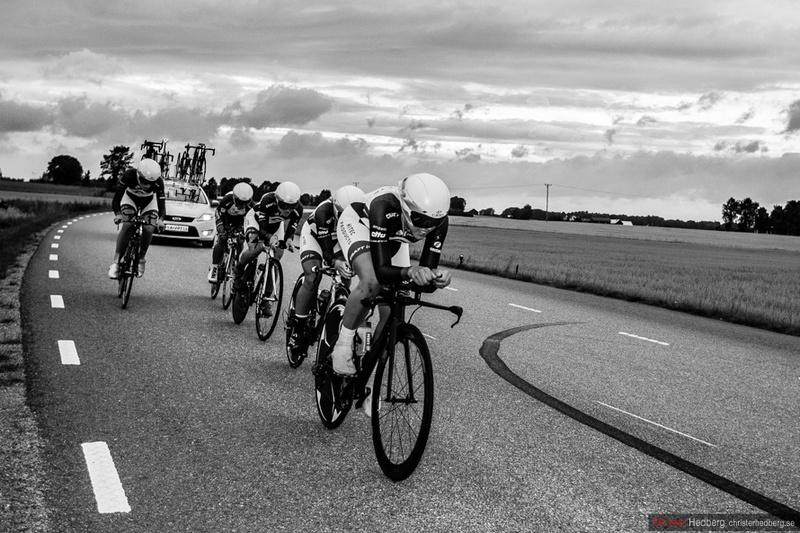 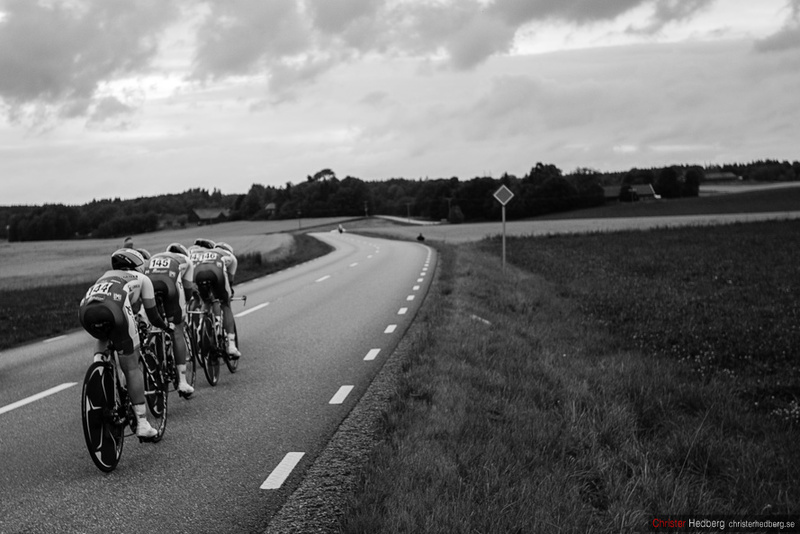 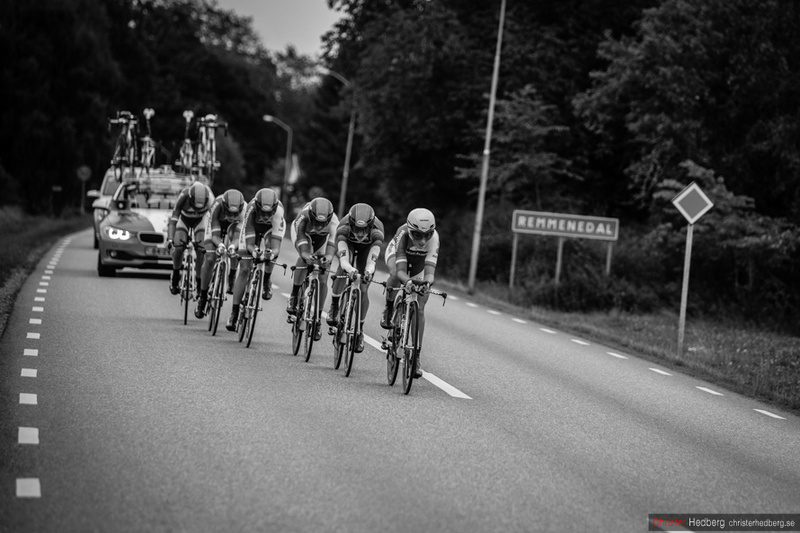 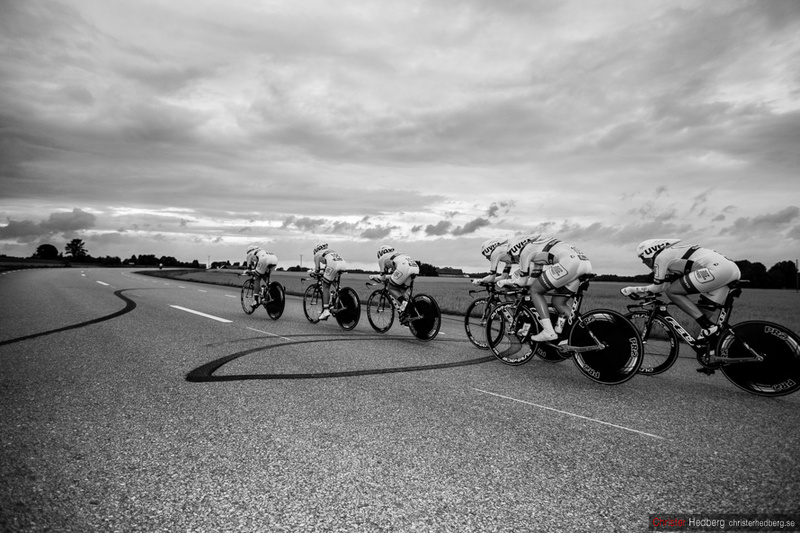 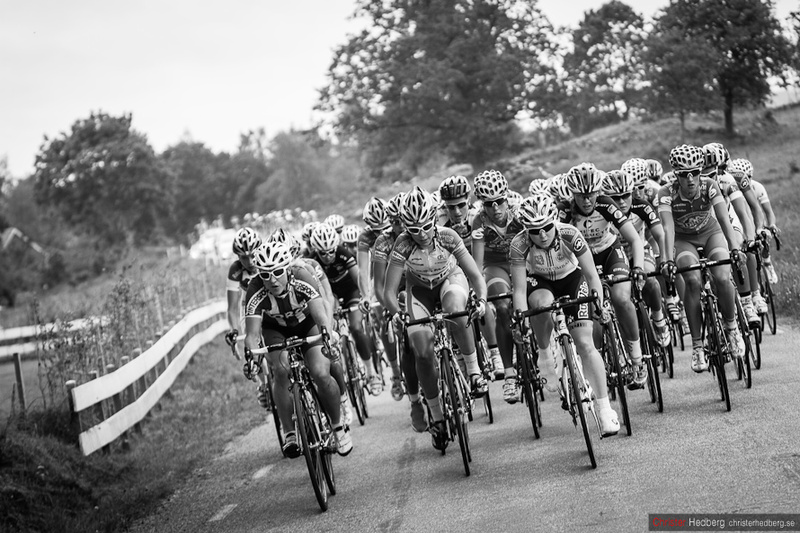 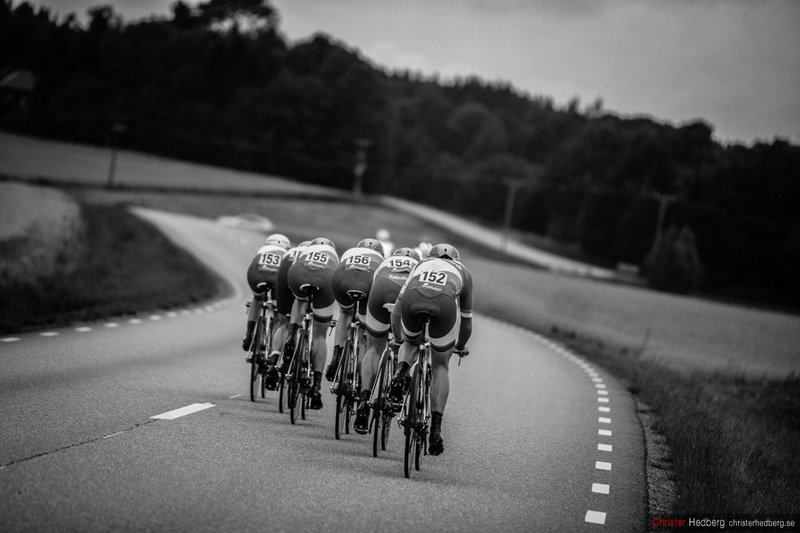 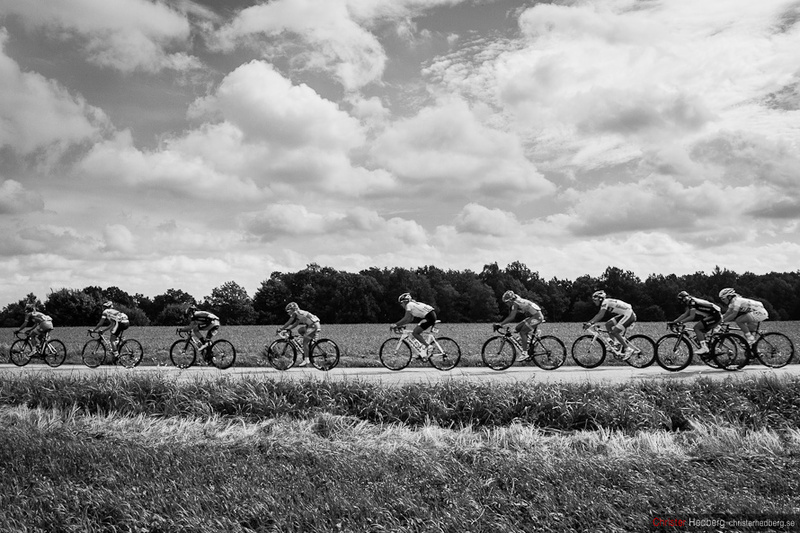 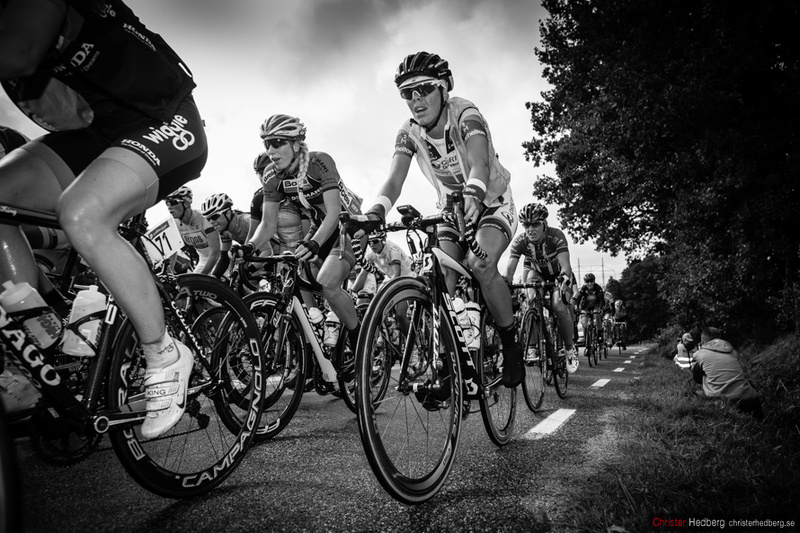 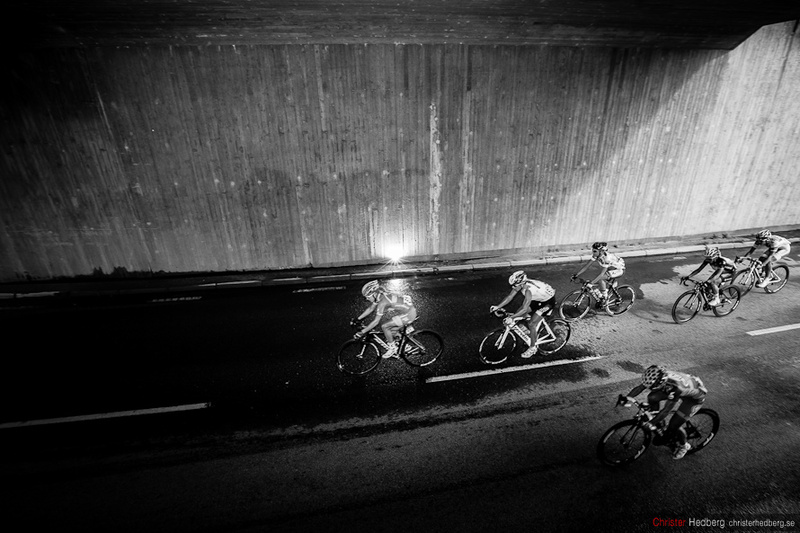 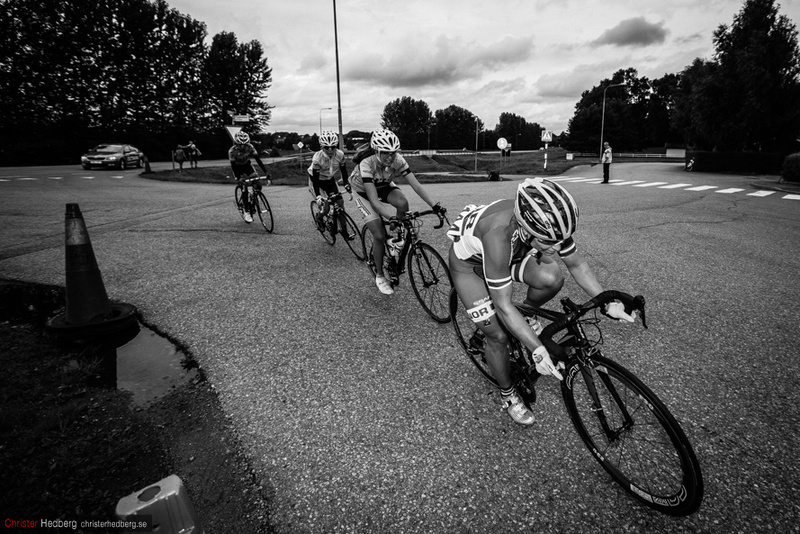 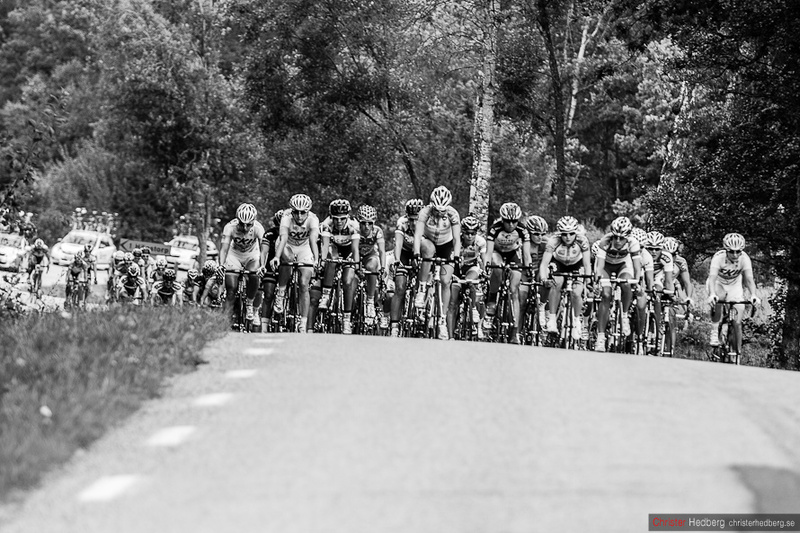 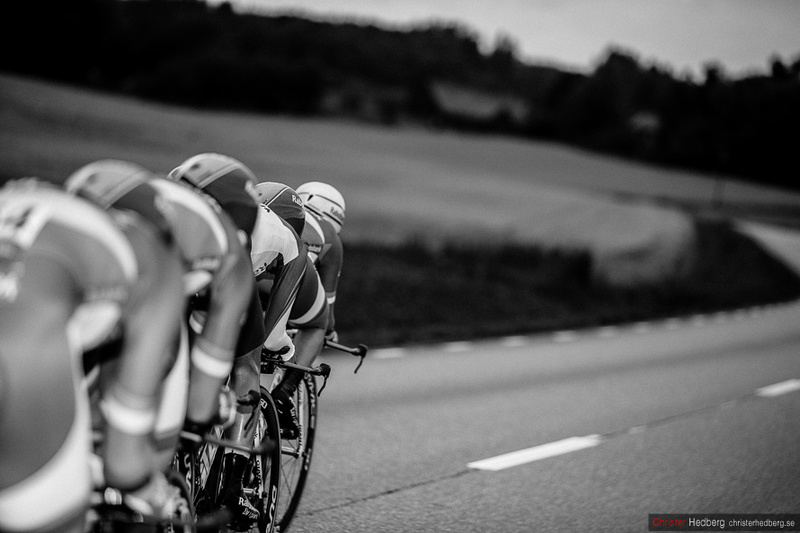 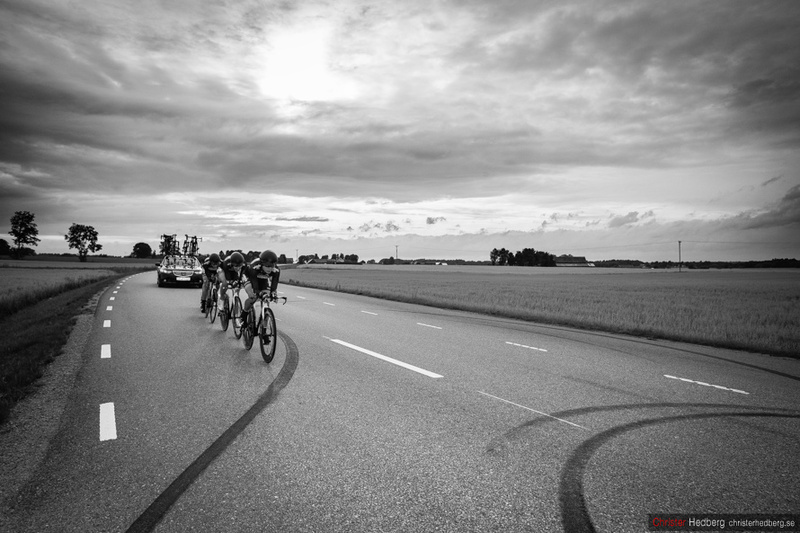 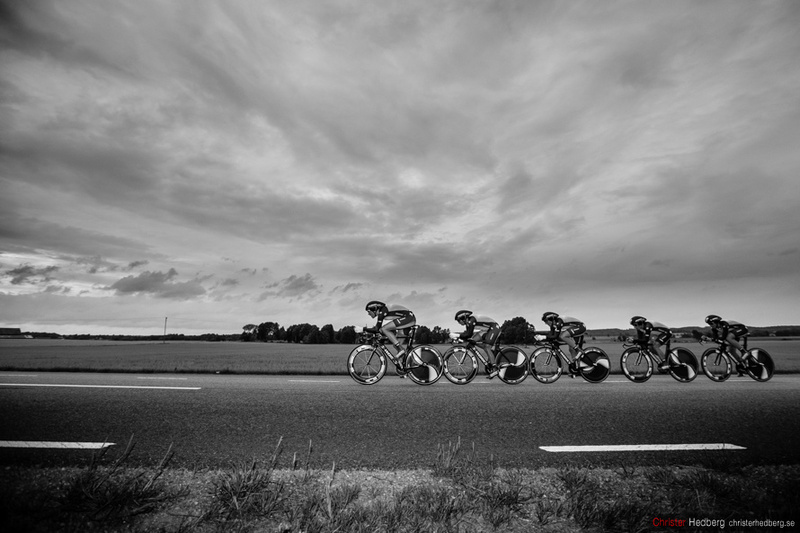 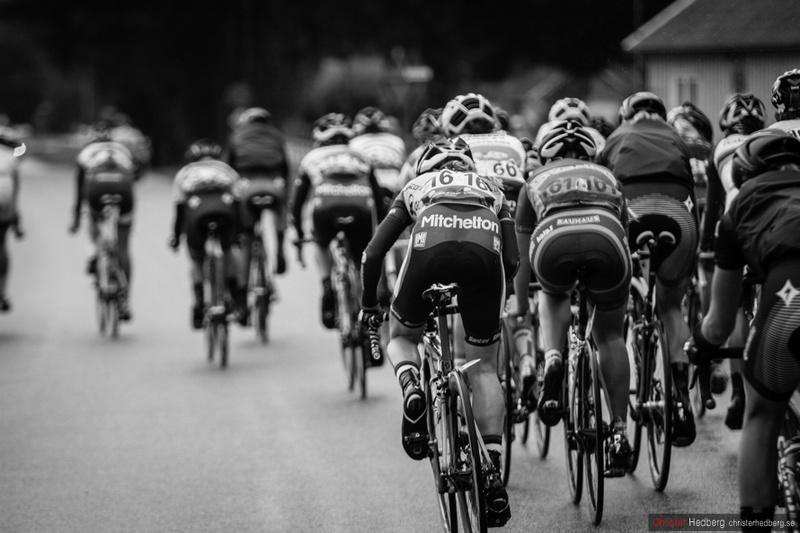 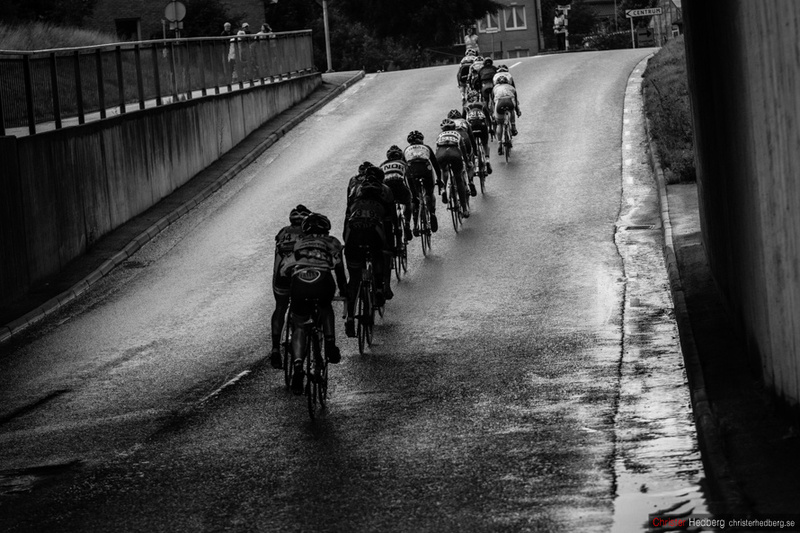 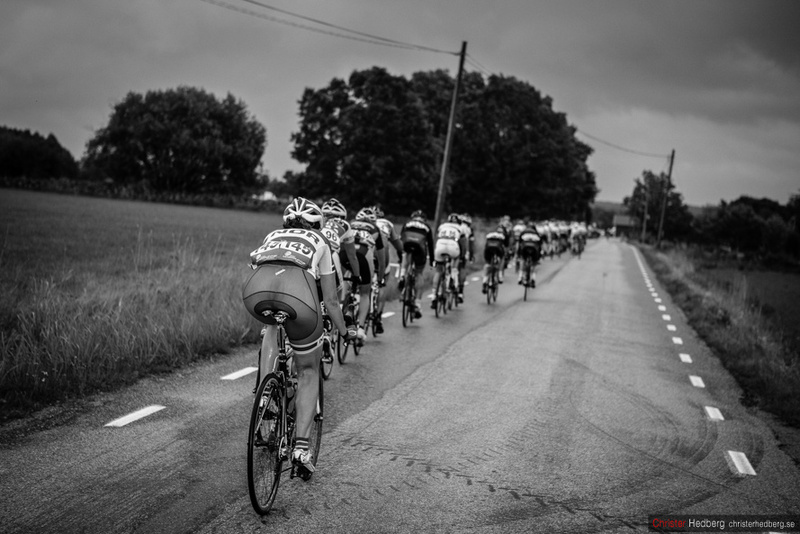 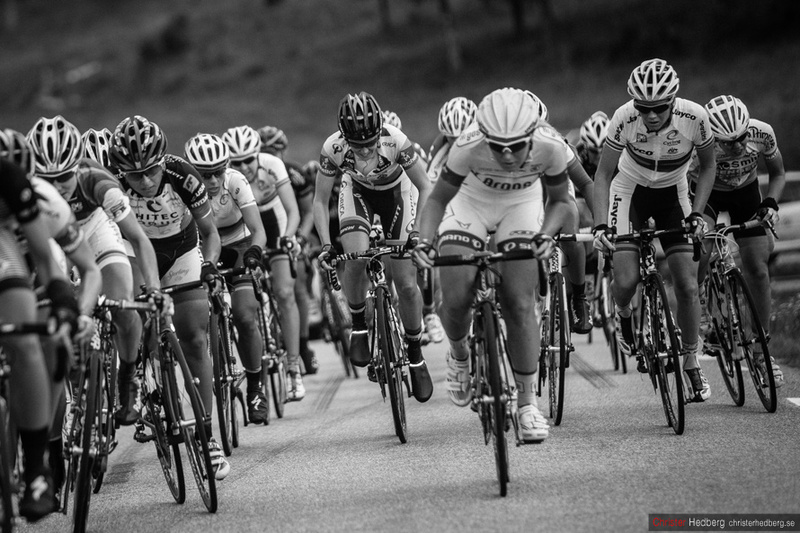 Led by Emma Johansson, the break-away group enters the tunnel on their tenth lap of the Open de Suède.